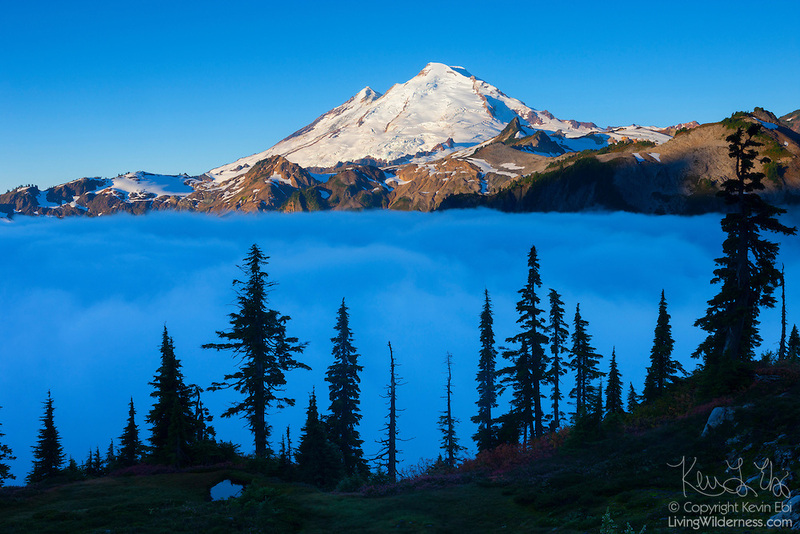 Thick fog covers a high mountain valley that reaches up to Mount Baker, a 10,781 foot (3,286 meter) volcano located in the North Cascades of Washington state. Valley fog, which is a type of radiation fog, can be incredible dense. It forms when air along ridgetops and mountain slopes cools after sunset. The air then becomes dense and sinks into the valley below where it continues to cool and becomes saturated, causing fog to form.